Kaneff Corporation has been working in the Greater Toronto Area for over half a decade. This development company is inextricably linked to the story of its founder - Ignat Kaneff. A Bulgarian immigrant, Ignat worked hard to achieve the dream of the New World. His development company has become a local behemoth, and it seems they’re capable of doing anything and everything in the development industry. Ignat has shown that he is grateful for his success by becoming a prolific contributor to a number of charities throughout the GTA. Ignat Kaneff comes from unassuming roots for a developing giant. He was born in a small village in Bulgaria, and he was unable to finish school for financial reasons. At 14, he moved to Austria in search of employment, and there he worked for a Bulgarian company that traded in agricultural products. In 1951, he quit his job in Europe and he emigrated to Canada with no prior knowledge of English, and almost no money to his name. He began by acquiring a small plot of land on which he would build his first home. This began a small enterprise where Ignat would build small homes for new immigrants, and in 1956 he began his first building company. He built 27 homes in his first year, and in 1957 he built his first large building with a three storey apartment building. 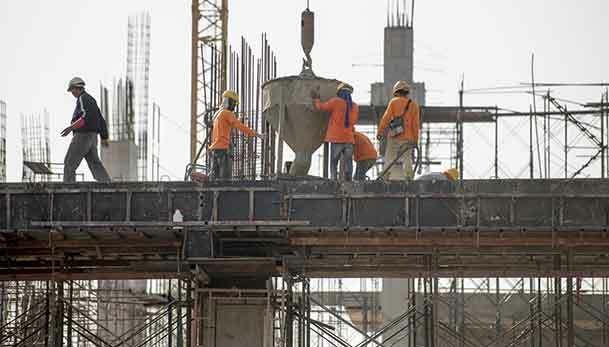 Since the beginning of its inception, Kaneff Corporation has built a reputation on innovative design, premium building materials, unequaled craftsmanship, and a penchant for building projects with large open spaces. 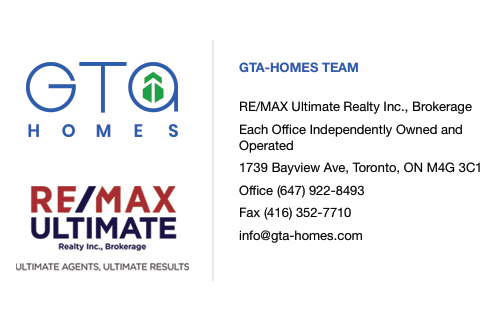 This reputation has enabled Ignat to pursue nearly every avenue in the real estate industry. He has built a variety of residential homes including detached homes, townhouses, high-rise condos and apartments. His commercial enterprise began in 1976 where he began building for retail and office clients. This was another opportunity to expand his expertise, and now his company is capable of developing, building, and managing their own properties. They are also equipped with their own leasing and management team. Ignat’s hard work has paid off. He’s now regarded as one of the foundational developers in the GTA. He’s been awarded with an honorary Doctor of Law degree from the University of Toronto, The Businessman of the Year Award from both Mississauga and Brampton, the Citizen of the Year Award from Mississauga, the Order of Ontario, the Order of Canada, and the Lifetime Achievement Award from BILD. In addition to all of these prestigious awards, Ignat Kaneff is also a two time recipient of the Paul Harris Fellowship Award for his charitable efforts. He began the Kaneff Charitable Foundation in 1986. This has become a vehicle for donating to various causes throughout Toronto, such as Community Living Mississauga, the Credit Valley Hospital Foundation, the University of Toronto in Mississauga, and the Osgoode Law School building campaign. He also hosts an annual golf tournament that has raised over $1 million for charity. Ignat Kaneff has lived quite a life. Born in a small town in Bulgaria, he was able to move to Canada where he successfully became a source of pride for both countries. His preeminence in the development industry is only equalled by his philanthropic efforts that have gone to improve the lives of countless people in both Canada and Bulgaria. 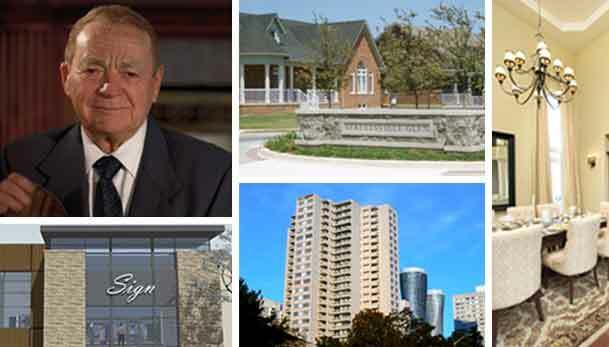 His dedication to building high quality homes has sustained his company's success for over 50 years, and he has shown an ability to not only shape the physical landscape of the Greater Toronto Area, but also its cultural and moral virtues. Having received the Order of Canada, as well as the Bulgarian equivalent, Ignat has solidified his place - along with his company - among the pantheon of Canadian real estate giants. This high-rise tower is partially responsible for the explosive growth that has happened in Mississauga. It is located only a short distance away from Square One Shopping Centre - one of the central locations in all Mississauga. Its tremendous amenities include a gym, pool, sauna, party room, and meeting room. 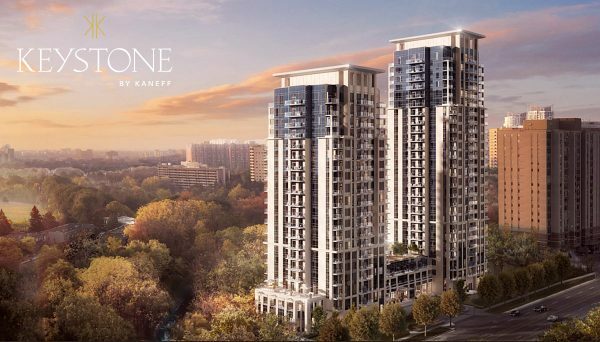 In addition to Square One, these condos have great proximity to a variety of parks, transit options, and Hurontario Street, which provides easy access to the rest of the GTA via both the 403 and the QEW. This project is located at 200 Burnhamthorpe Road East, and they were completed in 1999.